Data input module for Vigilância e Controle Platform(VICON/SAGA).Available for Android (version 4+) devices, itprovides users the capability to create records on field, usingdevice resources such as camera, recorder and GPS.Even withoutinternet connection, the app allows users to create records andstore on device. Later, records can be uploaded to server.Alsoincluded is a "follow me" mode which uploads user's position to theserver, allowing other users to track its steps while on field.This option is accessible in the app's configuration and the useris free to publish or not its current position. 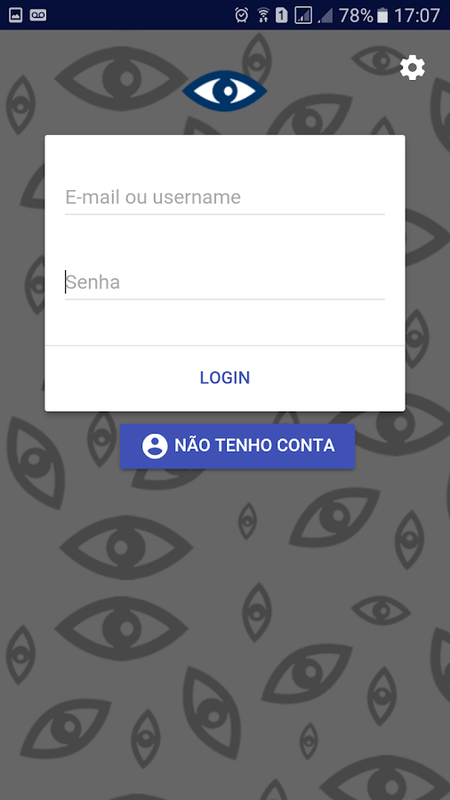 Data input app for the Sistema deInformaçõesGeográficas Vigilância e Controle Web, developed byLaboratório deGeoprocessamento from Universidade Federal do Rio deJaneiro.It's a data input module for Android mobile devices that givestheuser the capability to create records on field, using thedeviceresources such as camera, recorder and GPS. The systemoperatesboth in online and offline mode. It uses 3G or wifi totransmitgenerated data to a Web platform. Even without connection,the appallows the user to create records and store them into thedevice,so they can later be transmited to their project on theweb,allowing it to be accessed by all the users of thesystem.Also included is a "follow me" tool that sends the user'spositionto the server, allowing other users to track its stepswhile onfield. This option is accessible in the app's configurationand theuser is free to publish or not its current position. Data input app for the Sistema de InformaçõesGeográficas Vigilância e Controle Web, developed by Laboratório deGeoprocessamento from Universidade Federal do Rio de Janeiro.It's a data input module for Android mobile devices that gives theuser the capability to create records on field, using the deviceresources such as camera, recorder and GPS. The system operatesboth in online and offline mode. It uses 3G or wifi to transmitgenerated data to a Web platform. Even without connection, the appallows the user to create records and store them into the device,so they can later be transmited to their project on the web,allowing it to be accessed by all the users of the system.Also included is a "follow me" tool that sends the user's positionto the server, allowing other users to track its steps while onfield. This option is accessible in the app's configuration and theuser is free to publish or not its current position. Every day new funny pictures, a different one for every occasion!Good morning messages, good night, politics, sports and more! Sharenow on WhatsApp and all social networks the best images. Also besure to contribute to the collection of images, you can submitseveral funny pictures and if they are good, get into theapplication's image list. Enjoy the app and share some funnypictures with your friends on WhatsApp! Copa Fácil is a very practical and easy-to-use tournament organizerthat has several features that will make your tournament much moreinteresting for you and for those who follow the results. With theCopa Fácil app you have customizable rankings and player polls.Easily add photos, videos, and news to your league.Receive commentson the games. Currently the Copa Fácil has the sports: Futsal,Soccer, Soccer Society, Handball, Volleyball, Basketball, TableTennis, Moba and Others. You can also create championships withvarious categories. Add Sponsors with Logos and banners that appearin the app and also on your championship website. Contactparticipants through the application chat. The application also hasan electronic scoreboard system for you to broadcast the scoreboardon Screen. Copa Fácil is also on the web: www.copafacil.com, thatis, nobody will lose their tournament, league or championship.Create your championship for free. Now! Your Tournament Maker! An application which provides access to Unicaja's mobile services,allowing you to enjoy the many advantages and possibilities offeredby your smartphone. You'll be able to query your accounts, cards,securities, loans, standing orders, etc. using the same passwordsyou use to gain access to UniVía. You'll also be able to ordertransfers from your accounts, make security purchase/sale orders,etc. Query stock exchange listings at any time due to the newlyimplemented integration with Broker Online. You'll also be able tosearch for the nearest branches, ATMs and Flexicompra retailoutlets through the new search engine. You'll get to knowinformation on Unicaja, as well as the latest news on the savingsbank. Unicaja also offers you a technically innovative solution inits fight against electronic fraud which reinforces the securitymechanisms used when accessing UniVía, its electronic bankingservice. This solution allows you to easily and securely create adifferent password each time you identify yourself in UniVía. Itsfunctionality is based on one-time password (OTP) generationsystems. Perfectly designed free email application for your Onet, WirtualnaPolska, Interia, o2, Hotmail or Gmail mail accounts. The app allowsyou to view, send, receive and forward messages, photos and filesas well as to include multiple attachments in an efficient and easyway. • Not much time? We have your back! Our fast and intuitivedesign makes email management extremely easy and quick. •Overwhelmed with your inbox? Do not panic! Use filters toautomatically sort incoming mail to folders, to Mark as Spam or toMark as Read. • Worried about security? No more! Set a PIN passwordto protect your app. • Losing important mail? Forget about it.Advanced search available by Date, Recipient, Subject, throughUnread, Attachments and more! • Want to be up-to-date witheverything or want to relax? Set up custom push notifications withdifferent working times. Install the app and enjoy a complete setfeatures for free: o Create a unique signature, use emoji and funtemplates to make your email more personal o View attachmentsdirectly from app o View entire email conversations as part of athread and more! Have more than one email address? Add them all! Wesupport all other major polish and international e-mail services: •Google Mail (Gmail) • Onet • Interia • O2 • Home.pl poczta •Gazeta.pl poczta • Microsoft (Hotmail, Outlook, MSN, Live, Office365) • Yahoo Mail (previously, ymail) • AOL • GMX, and other IMAP/POP/ SMTP-enabled mailbox. All you need to sign in is your emailaddress and password and we will have everything ready to go.IMPORTANT: We are not an official email client. We aim to create aquality product to manage e-mail. Available on Android phones,tablets and smartwatch. Food Additives is a free, ad-free application, which helps youidentify more than 650 additives (E numbers) that are present inmany everyday food products. Features: For each additive: ✦ Thelevel of danger ✦ The origin (animal, vegetable, chemical ...) ✦the type (Food coloring, emulsifier, preservative ...) ✦ The nameand all the possible names ✦ the status that lets you know if theadditive is halal / kosher / vegetarian or vegan. ✦ A highlyoptimized search mode (by number, eg 124 or by name, eg: CochinealRed) ✦ Integrated sorting mode to simplify navigation through ourdatabase ✦ A complete and up-to-date database (more than 650 foodadditives) ✦ A dictionary of the most used words in the world ofadditives ✦ Information on nanoparticles and ultra-processed foods✦ Sources for more details (using internet) A product scan option :Since version 2.0 the application offers a paid scan service. Morethan 500,000 international products available via the Open FoodFacts database, hence the following new permissions requests : -Permission to use the camera: to be able to scan a product theapplication uses the camera. Note: It is not possible to takepictures or record videos via the app. - Permission to use theinternet: as you can imagine, a database of more than 500 000products can not be downloaded to the device, therefore theapplication accesses the internet to collect the data of eachscanned product. What does the scan option offer? For each scannedproduct: ✦ List of food additives where each additive is clickableto display details ✦ List of ingredients with allergens in bold ✦Possible traces of gluten, nuts, milk ... etc. ✦ The origin of theingredients We are reachable by e-mail for any questions orsuggestions for the improvement of the application.